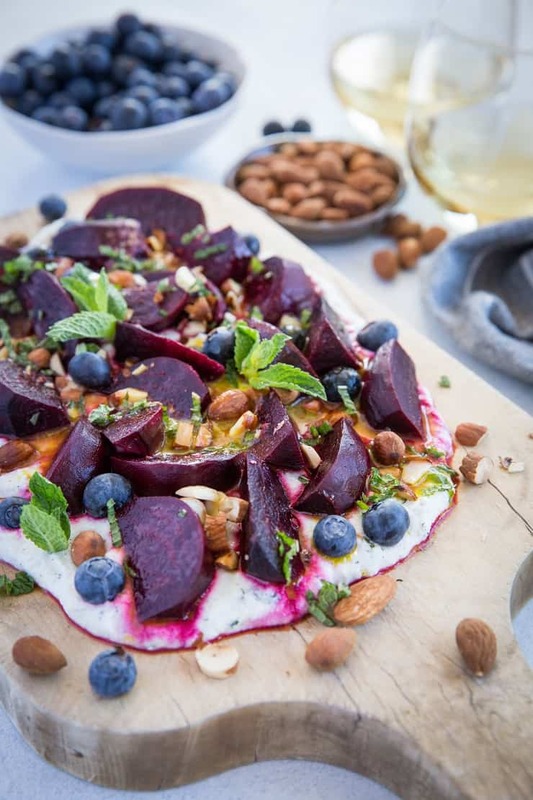 Roasted beet salad with vanilla bean-infused herbed whipped ricotta, roasted almonds, and citrus dressing is a beautiful sharable dish that’s perfect for serving for brunch. How’s your brunch game these days? 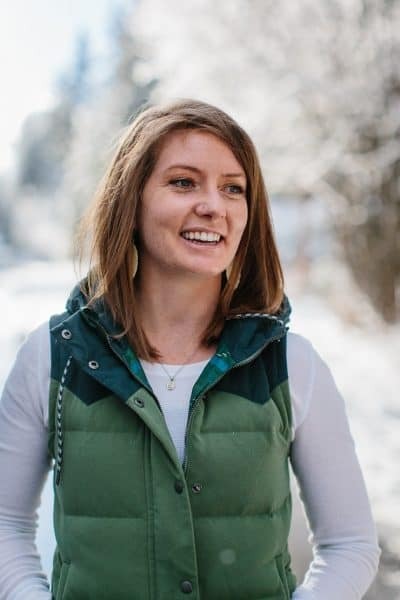 If you’re like me and you are planning on entertaining more now that the weather is warming up, you’re likely on the prowl for vibrant sharable brunch recipes. WELL, m’dear, you’ve captured yourself a unicorn. This is one of those show-stopping flavor explosions that you’ll just have to taste to believe. 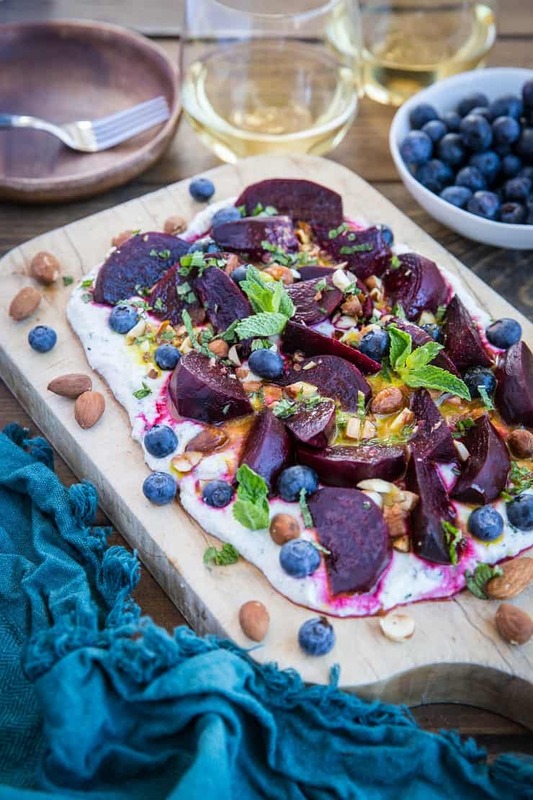 Roasted beets, whipped herbed ricotta, roasted almonds, blueberries, and a citrus dressing are what make up this beauty. All ingredients make for a brilliant texture showcasing creamy, zesty, sweet, and herby flavors. That melt-in-your mouth, mind melding perfect bite. This recipe may seem fancy and complicated, but it’s really not. It doesn’t require much time or effort to prepare and can also be prepared in parts. Let’s unpack this whole situation. I have two words that are going to change your life: whipped ricotta. If you’ve never tried whipped ricotta, it’s a must! Simply whip it using a stand mixer or hand beater for the creamiest, most luscious ricotta. I added fresh mint, pure maple syrup, and vanilla bean to the ricotta to ramp up the flavor for that ever-so pleasing je ne sais quois. I used one Nielsen-Massey Madagascar Bourbon Vanilla Bean, which adds a beautiful warm vanilla essence to the ricotta. 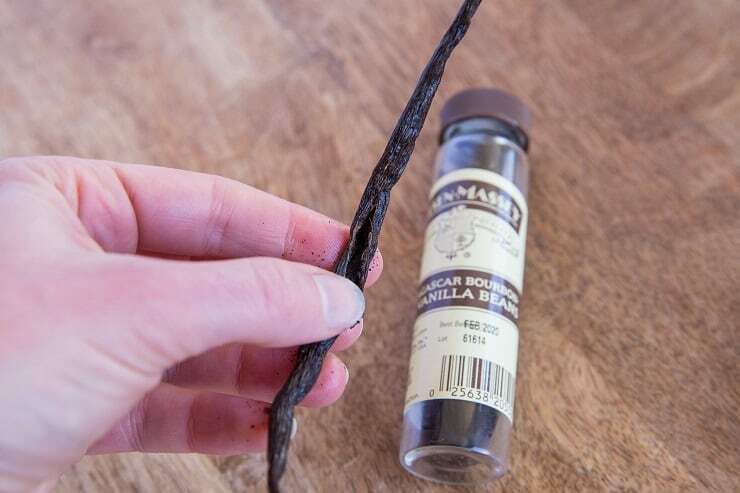 Have you ever wondered how to use vanilla beans and in what situations you should use a vanilla bean instead of vanilla extract? I’ve gotcha covered. One vanilla bean is the equivalent of one Tablespoon of vanilla extract, making them a high-flavor yielding ingredient. Vanilla beans have a rich fragrance and offer a flavorful solution when the distinctive, gourmet look of vanilla seeds is desired. I always find vanilla beans simply taste complete and aromatic. In situations like this, I prefer using the scrapings of a vanilla bean rather than pure vanilla extract, as it creates a subtle depth of flavor. Nielsen-Massey is a family owned and operated producer of premier pure vanillas and flavor extracts. All Nielsen-Massey products are all-natural, GMO-free, certified gluten-free, Kosher, and allergen-free. Plus, they recently released a line of organic flavor extracts! If you open my baking cupboard, you’d see half of a shelf dedicated to Nielsen-Massey extracts… their extracts are my numero uno when it comes to baking and cooking. Alright, so now you’re in-the-know when it comes to the whipped ricotta and the “how to use vanilla beans” situation. Let’s briefly discuss the rest of this dish. 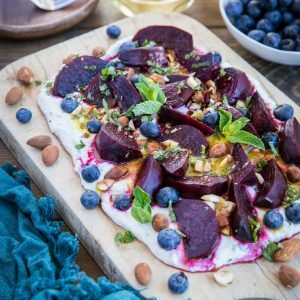 The roasted almonds bring that delightful crunch to complement the hearty beets and creamy ricotta, while the blueberries add that tangy-sweet burst of flavor. A citrusy dressing is the sweet and zesty element that ties the whole thing together. I like serving the salad with chopped fresh mint for some additional herbiness and color. And that’s it! A colorful, flavorful sharable brunch dish that will make your friends and family swoon! Follow Nielsen-Massey on Facebook, Instagram, or Twitter for additional recipe inspiration and tips & tricks. Preheat the oven to 400 degrees F. Scrub the beets, pat them dry, and chop them into wedges. Place chopped beets on a long sheet of foil, then fold into a foil packet (note: the beets will become juicy as they roast, so make sure the packet is nice and secure). Place foil packet on a baking sheet and roast 45 to 55 minutes, or until beets are very tender when poked with a fork. 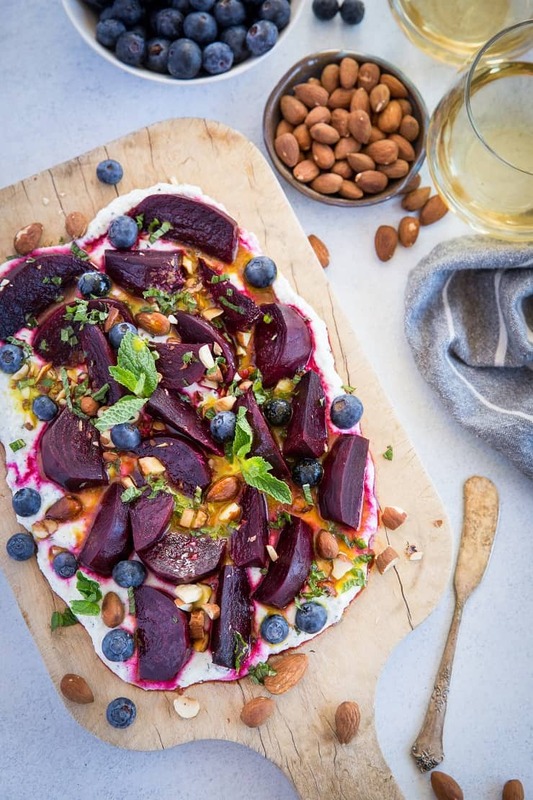 Remove from oven and allow beets to cool (note: this salad can either be served with warm roasted beets or chilled beets, so you can plan your temperature accordingly). Add all ingredients for the whipped ricotta to a stand mixer (or use a mixing bowl with a hand mixer) and beet with the whisk attachment for 2 to 3 minutes, or until well-combined and fluffy. Add all ingredients for the dressing to a small blender and blend until creamy. 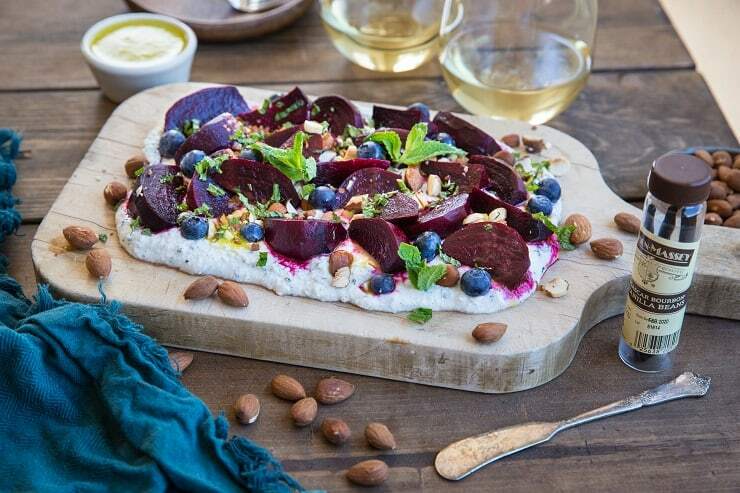 Spread the whipped ricotta over a large serving board or platter. 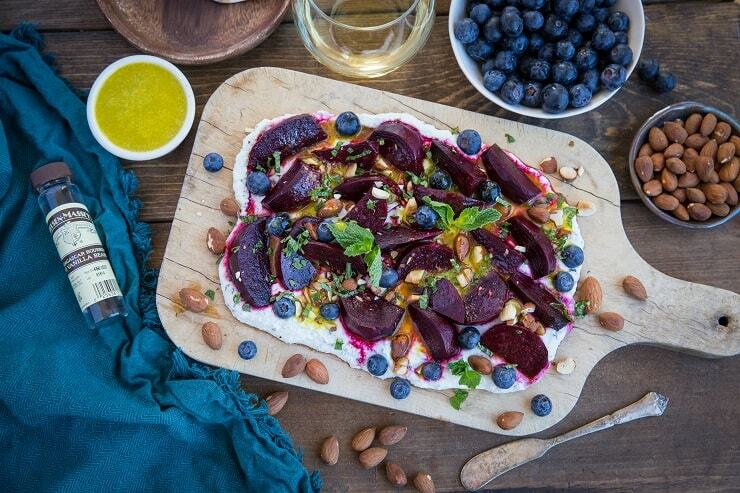 Top with roasted beets, blueberries, roasted walnuts and a drizzle of citrus dressing. your presentation of this dish is gorgeous! 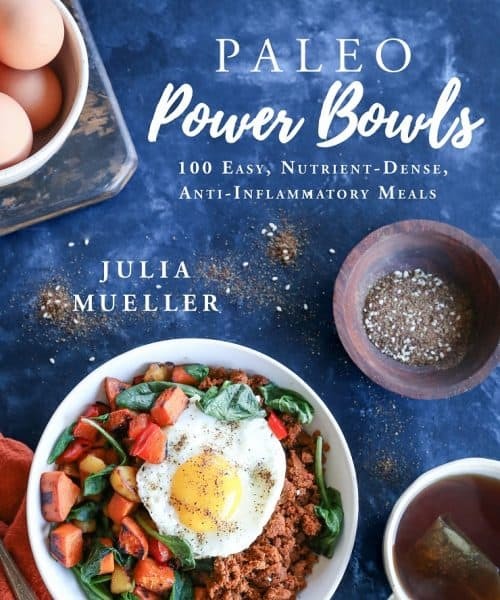 What a show stopping salad Julia! 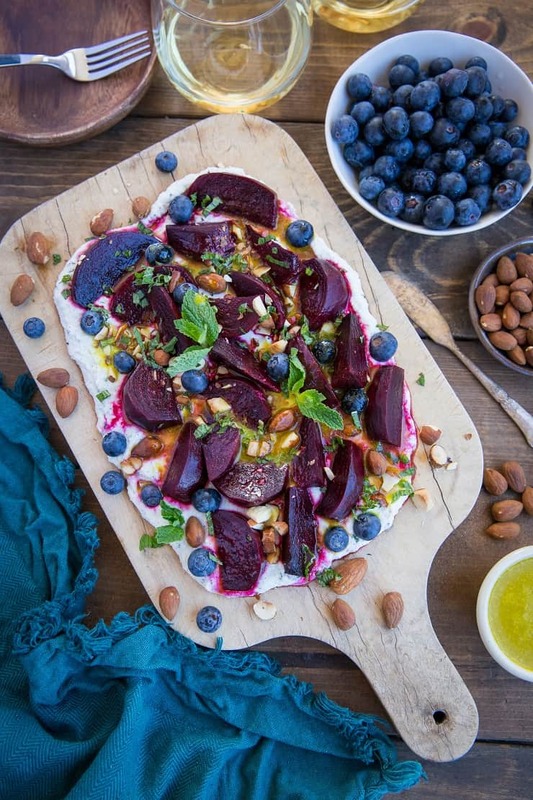 That salad over a base of whipped ricotta is worthy of a special occasion…I’m in love with these flavors! This salad is amazing. I roasted some beet noodles, and served this salad with grilled chicken tenders for a complete dinner. I’m already excited to eat the leftovers tomorrow.